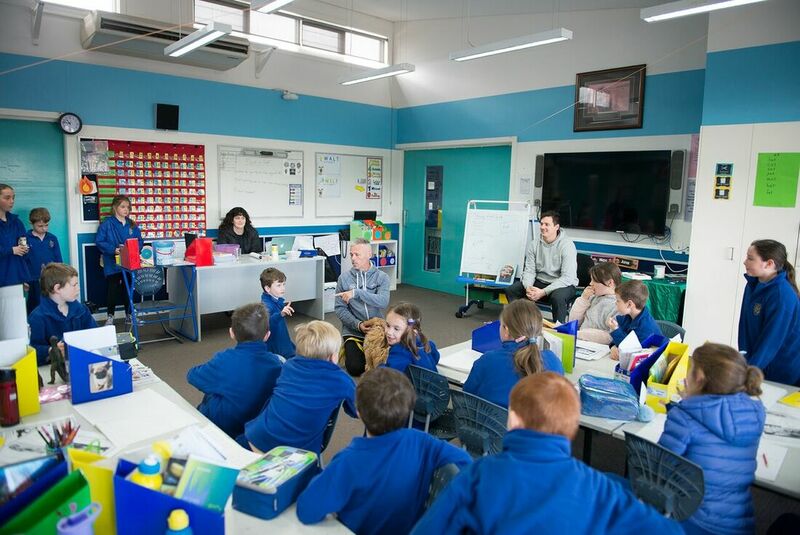 ​Holy Rosary PS invested in our Full-Scale Program in term 3 and 4 in 2017. 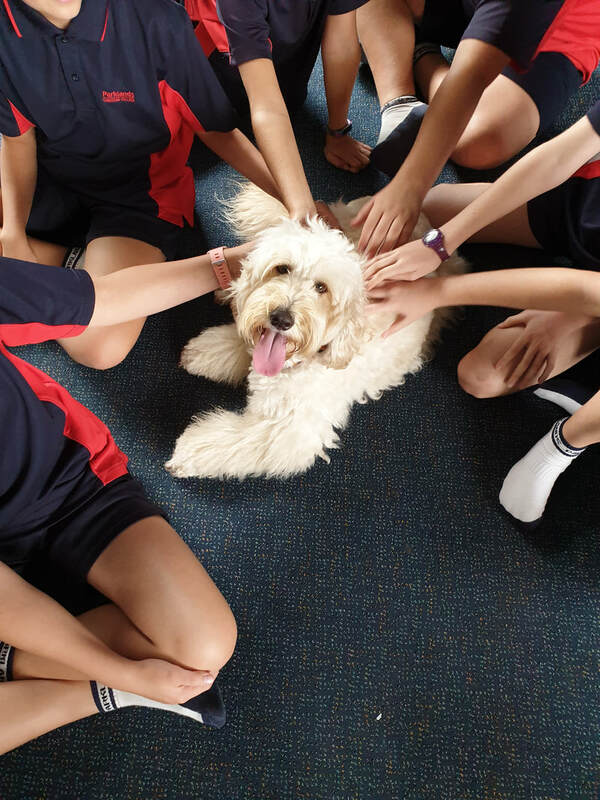 The school community have embraced young Bridie, an Aussie Cobber dog as a full-time member of their learning community and wellbeing team. Bridie is still learning the ropes and works with classes, individuals, staff and spends her weekends with the Principal and his family. Outcomes of the full-scale program include: an increase in engagement, attentiveness towards teachers, and a general calming effect for students and staff. 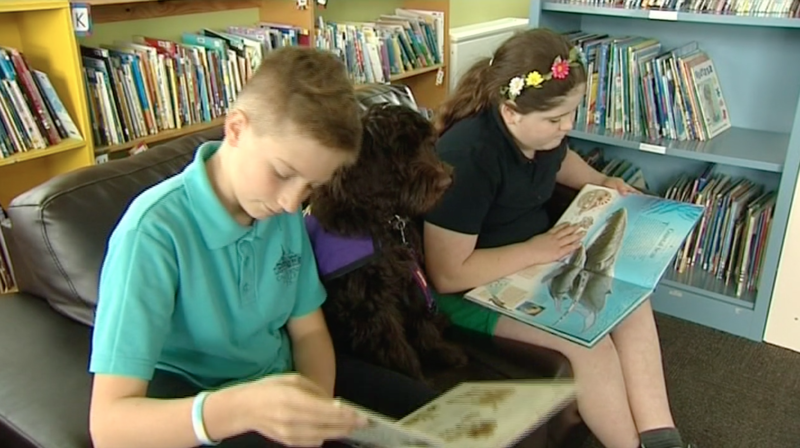 Bridie is very keen on her work, and as a very young dog has started to find some of the many ways that she can connect and support people wherever she can. ​St. 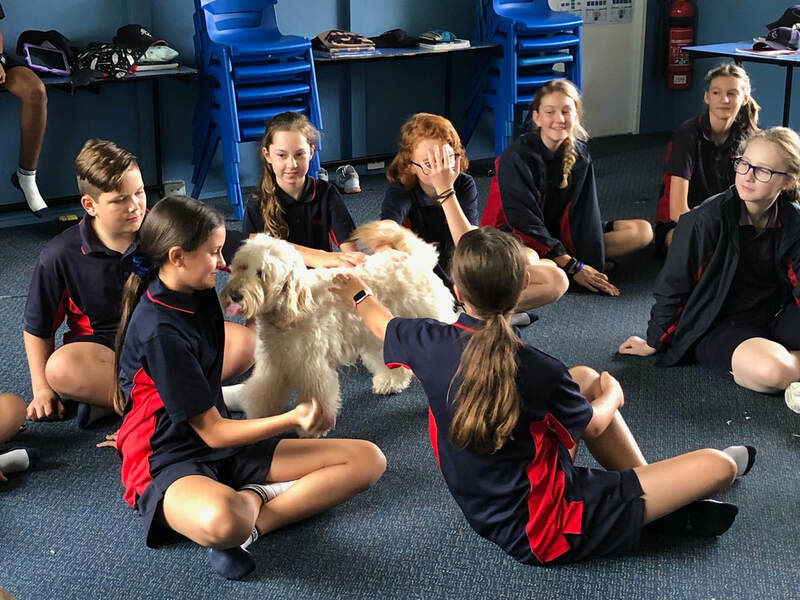 Peter’s dedicated the second half of 2018 to welcoming Lexi the Aussie Cobber dog as a permanent member of their learning community. Lexi started her school life very young and was familiarising herself with a Grade 2 classroom setting as young as 10 weeks old. Lexi spends her time supporting classes, individual students, and small groups of students working in different programs such as the Seasons for Growth Program. 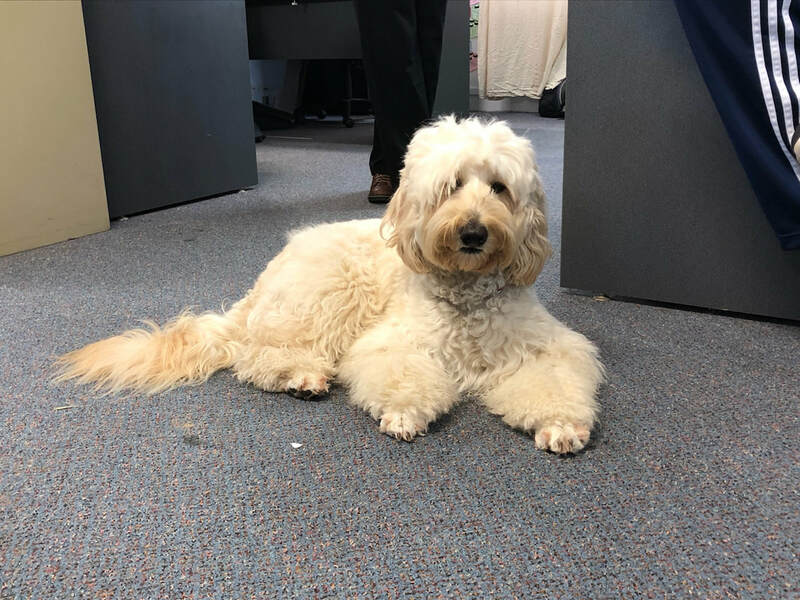 Lexi is familiar with the yard duty role, and she loves the chance to spend some recess and lunch time catching up with the adults in the staff room. Lexi is a school dog and spends her home life with St Peters teacher, Mel. She also spends the odd night/weekend with several other staff and their families. 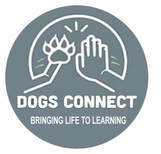 Outcomes of the full-scale program include: improved connectedness and learning for students and staff, understanding of awareness, empathy, relationship between heart rate and emotional states, and how to practice regulation. Other results indicate an increase in engagement, attentiveness towards teachers, and a general calming effect for students and staff. It is wonderful to have no visible fences just beautiful park like lawns for our dogs to enjoy with us and they are at a safe distance from road traffic and bush lands where deadly ticks lurk. 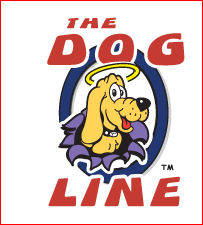 we now highly recommend this wonderful way to contain your dog safely within your home boundaries and at an unbelievable price compared to wire, timber or tin fencing. We ensure that puppies are given just the right balance of stimulation, play and rest so they will enjoy learning. 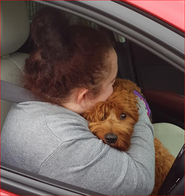 We dedicate a great deal of time to human socialization because we strive to develop a puppy who is confident, yet socially independent which is a good combination of traits for assistance work. For this reason we rarely have more than two litters at any one time. 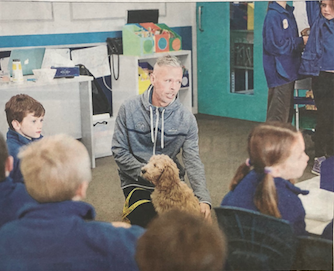 Our puppies are whelped and raised in our home environment to mimic their future role which facilitates a balance of a calm atmosphere, day-to-day activities, noise, TV, constant care and observation, along with a wealth of learning opportunities. We want our bundles of joy to grow up in an environment that is conducive to their future role as service dog, or family companion. The wait time for a dog can be years; this is simply not an option for many children. Children are our main focus. We have developed programs to help fast track this situation to make it more accessible to more people and children who need support now. We can create a program for you once we know more about you. "TEGAN DOGS MAKE LIFE EASIER"